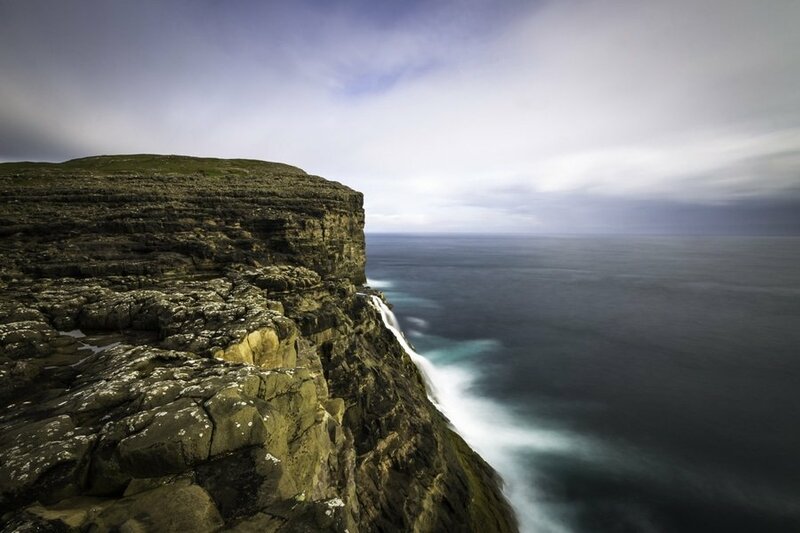 Remote and unspoiled, the Faroe Islands offer every visitor a chance to experience nature at its finest. Out in this island country, you can see awe-inspiring landscape, scarcely touched by modern times, as it has been for thousands of years. Our 5-day suggested itinerary is meant for first time travelers and people who would like to explore the country beyond the usual tourist destinations. Planning a trip to this beautiful island country can be daunting, but with a little and some research, you can certainly come up with a perfect itinerary. 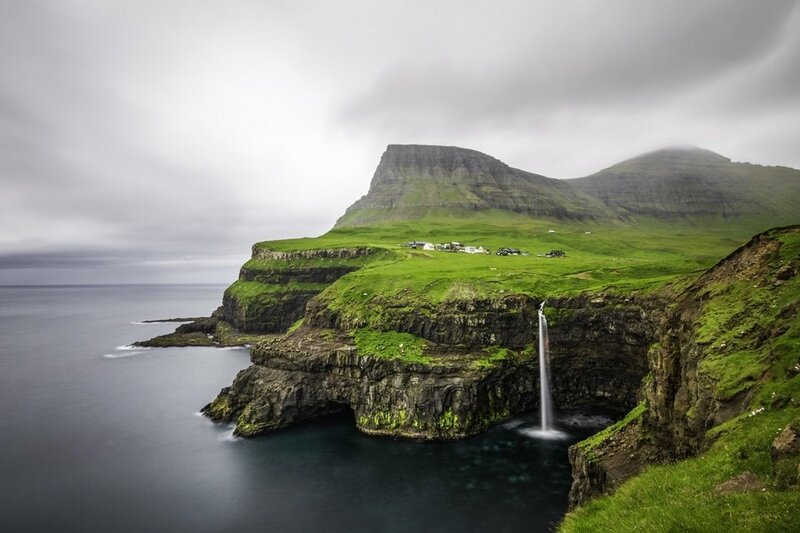 Language – The Faroese and Danish are the two official languages in the Faroe Islands. Most Faroese speak excellent English, so you can absolutely get by without speaking Faroese or Danish language. Like any country in the world, speaking at least some Faroese/Danish phrases or attempting to learn is greatly appreciated by the locals. Currency exchange – The official Faroese currency is the Faroese króna (kr), a Faroese version of Danish Krona. Exchanging money in the Faroe Islands is easy and follows the same standard to elsewhere in Europe. It’s also good to know that most establishments accept Euros but it’s recommended to exchange some Krona to pay for buses, taxis and smaller establishments that do not accept foreign currencies. The best way to get local currency is to use the ATM and withdraw in Krona to get the best rate. Etiquette – While most Faroese are generally warm and laid back, it’s important to remember some do’s and dont’s to enjoy a faux pas free journey. For a foreign traveller, it is important to know that Danes stress public harmony and they don’t lose their cool. If they get upset, they will tell you in a more civil manner. Also, Danes value their privacy. They may appear “cold” but it is said that this attitude is derived from high regard for other’s privacy. Getting there – By air, you can travel via Atlantic Airways, the national airline of the Faroe Islands and the only airline that flies to the island. It flies from Edinburgh, Scotland and Reykjavik, Iceland twice to three times a week. 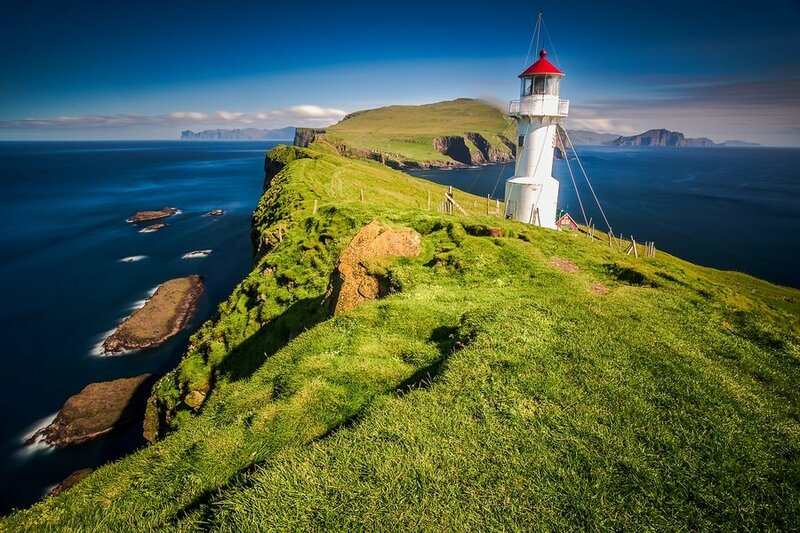 Make sure to buy your plane tickets ahead of time because flights to the Faroe Islands can be very expensive. By sea, you can sail to the Faroe Islands from Hirtshals, Denmark and Seyðisfjørður, Iceland on board Smyril Line’s ferry, M/S Norröna. 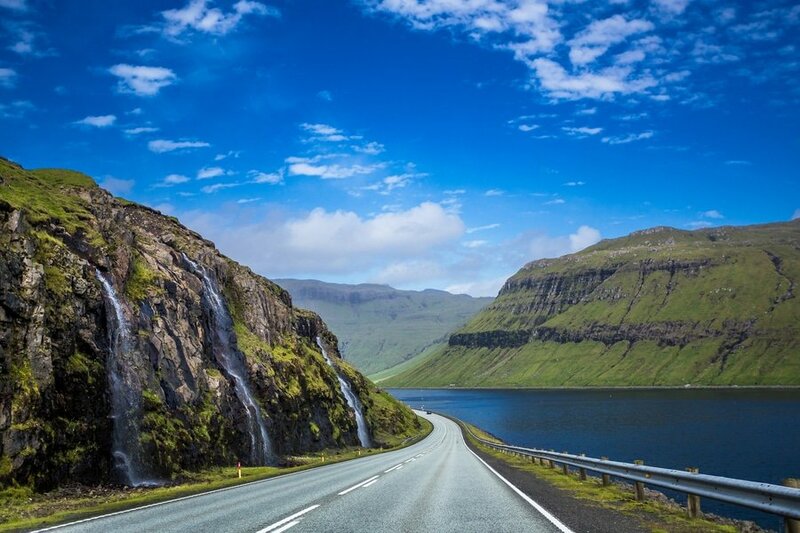 Getting around – Traveling around the Faroe Islands is relatively easy as all roads are well-developed and the public transport system is one of Europe’s finest. Although considered remote, the islands are well connected by very advanced infrastructure consisting of excellent roads, bridges and sub-sea tunnels. Self-drive tour around the Faroes is the most popular way of getting around. However, it is necessary to exercise precaution when driving on your own because of natural hazards caused by weather and nature. Be sure to check the weather forecast, especially during the winter, to avoid accidents on the road. Accommodation – The Faroe Islands have a wide range of accommodation options, with something for every level of comfort and budget. The most frequent question from first time travelers is, “What’s the best area to stay in when visiting the Faroe Islands?” Without a doubt, the best area to stay in is the central city of Tórshavn to get easy access to most attractions and to get more hotel options. Today starts your adventure to the Faroe Islands! 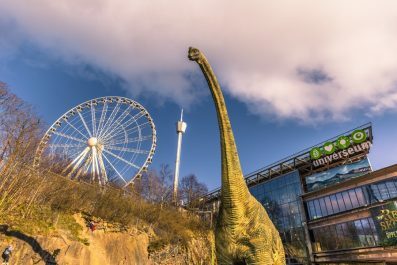 Depending on your time of arrival, you can either take it easy and soak up the atmosphere in the Faroe Islands or take in some attractions. Tórshavn, the capital of the Faroe Islands, is a small city which can be explored easily within a day. Make sure to drop by the Tourist Information Center (17 Niels Finsens gøta; tel: +298 302425) to get printed maps, bus schedules and tour recommendations. Check into your preferred accommodation and grab some breakfast before your self-guided tour. Head to your first destination, Tinganes. Known as one of the oldest parliamentary meeting places in the world, Tinganes is the historical center of Tórshavn. It’s definitely a must see if you love charming houses and buildings. Make your way to your next destination, the Nordic House. Come to grips with Faroe Islands’ culture and history by visiting the National Gallery of the Faroe Islands (Listasavn Føroya). Wake up to a delicious breakfast in your private room or grab a bite in one of the restaurants in town. Then, embark on one of the most exciting trips in the Faroe Islands by heading to Sørvágsvatn and Gásadalur. In the morning, explore Sørvágsvatn, the biggest lake of the Faroe Islands. 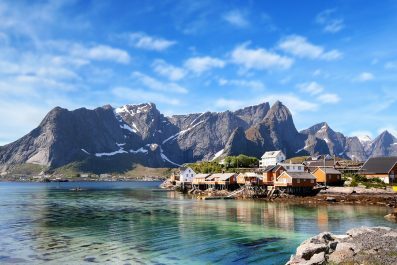 It pretty much has everything you would want from a lake – winding fjords, stunning mountain views and impressive rock formations. The lake is also famous because it is a one big optical illusion. Depending on camera angle, the steep cliff in front of the lake looks hundreds feet high. In reality, the elevation of the lake is only 90 meters above sea level. After lunch, take an afternoon hike up to the charming village of Gásadalur. When you drive to the village, make sure to stop at the famous viewpoint where you can get a glimpse of Mykines, home to hundreds of thousands of puffins. Gásadalur is also famous for Mulafossur Waterfalls, one of the most surreal waterfalls in the Faroe Islands. On days 3, check out from your accommodation in Tórshavn and prepare for your departure to Mykines (pronounced mee-chin-ness). 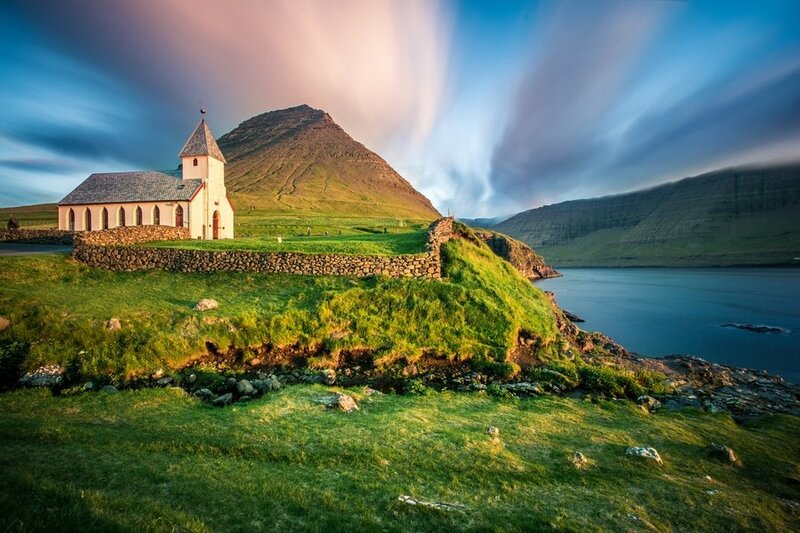 This popular destination is the westernmost of the Faroe Islands and is home to hundreds of thousands of puffins. There are two ways to get into the island – by ferry or by government subsidized helicopter. By ferry, you have to travel to the town of Sørvágur from Tórshavn. Visit the ferry’s official website for ticket prices and schedule (http://www.ssl.fo/en/timetable/ferry/36-soervagur-mykines/). By air, you can get to Mykines by helicopter from Tórshavn, which is not as expensive as you think. 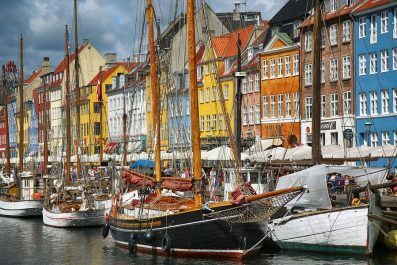 One-way fare is approximately 30 to 50 USD (215 Danish Kroner). For time table and schedule, you may check out Atlantic Airways official website. Upon arrival, check into your preferred accommodation before you take in some sights. Hike to Mykines Holmur Lighthouse on the western tip of the island. On the way, you will be greeted by the adorable puffins of Mykines. Make sure to pack some snacks and water as there are no restaurants near the lighthouse. After your lighthouse tour, go back to the village of Mykines and check out its charming houses with turf roofs. Start your day with a bang by visiting the scenic seaside while waiting for the sunrise. Wander around the village one last time, and then prepare for your ferry ride to Sørvágur in the afternoon. Once in Sørvágur, make your way to Viðareiði Village, a tiny village on the island of Viðoy. Get enough rest in the evening for your morning hike to Villingardalsfjall the following day. On your last day in the Faroes, hike to the gorgeous mountain of Villingardalsfjall, one of the most popular coastal mountains in the Faroe Islands. The trail begins at the northern part of Viðareiði Village, where there is a designated path for a few hundred meters. There are blue plastic tubes sticking from the ground along the way to guide you. Before you hike the mountain, assess your physical condition, tell someone your plans, never hike alone, wear safety gears, pack a trail map, whistle and first aid kit and don’t forget food and water. Be a responsible hiker to enjoy this mountain. In the afternoon, head back to the Tórshavn in time to check in for your international flight home, continue traveling independently, or extend your stay in the Faroe Islands. The decision is yours! This is the end of our 5-day suggested itinerary to the Faroe Islands. We hope you can utilize this trip suggestion and make it as a starting point to plan your own personalized itinerary. Take time to meet the locals, sample the best Faroese dishes or even try chasing the auroras. If the pace gets too hectic, then reorder your sightseeing priorities. Happy travel! Have you been to the Faroe Islands? Do you have any tips or suggestions to share? If so, you can leave your comments below.